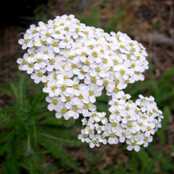 This site will allow you to discover various aspects about the fascinating flowering plant, Achillea millefolium. 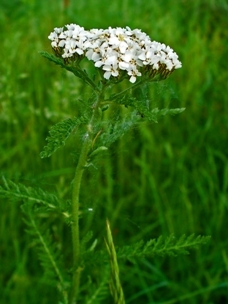 Achillea millefolium is a widespread species that many of you have most likely seen sprouting in your backyard or alongside a country road. 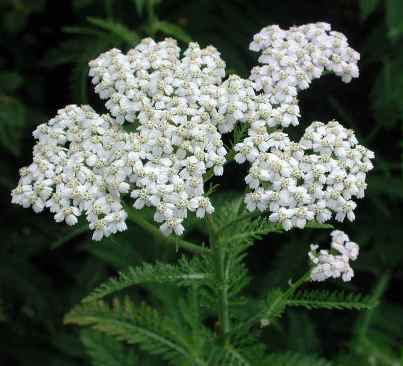 What you may not know is that this specific species, more commonly known as Yarrow, contains powerful medicinal uses that have been utilized as early as during the time of Ancient Greece. 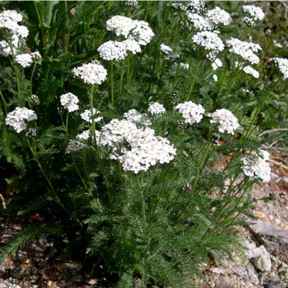 Continue through this site to undercover more interesting features of Achillea millefolium. This plant grows a basic, upright, and fuzzy stalk that ranges from 1 to 3 feet in height. This stalk is secured by fibrous roots with a rhizome system. Surrounding the stalk on alternating sides are fern like leaves that take on a feathery characteristic. These leaves grow to approximately 1 to 6 inches in length. Interestingly enough, these hearty stalks and leaves often times endure through the winter season. 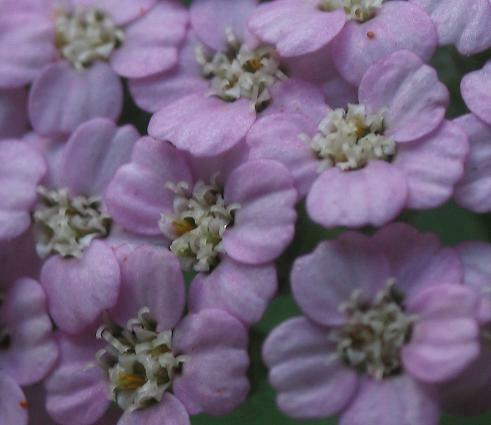 In addition to the stalk and leaves, Yarrow has typically white but sometimes light pink and purple flowers that bloom from June to September. These flowers appear in a unique flat-topped dome cluster arrangement with 5 ray flowers surrounding it. These flowers are very small at about a quarter inch in diameter, and they bloom for long periods of time. 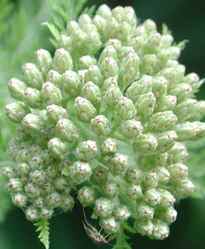 Unlike the stem and stalk, eventually the flowers produce their seeds and die. 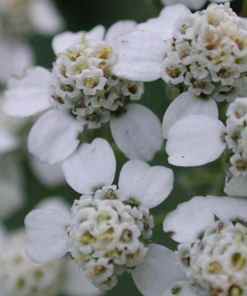 Overall, Achillea millefolium is a long blooming perennial with a pleasant aromatic scent and distinct morphology. Next time you are out for a walk; keep an eye out for some of these unique characteristics! 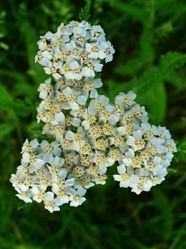 To see where Achillea millefolium relates among other organisms, continue to Classification. Be sure to check out web pages on a vast collection of organisms by visiting Multipleorganisms.net!